The National Labor Relations Board (NLRB) has overturned yet another Obama-era precedent—the 2014 FedEx Home Delivery decision. On January 25, 2019, the NLRB issued a new decision, in SuperShuttle DFW, Inc., No. 16-RC-010963, reversing course and clarifying the definition of an “independent contractor” under the National Labor Relations Act (NLRA). 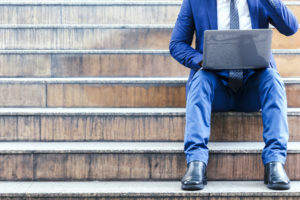 The decision places particular emphasis on a worker’s “entrepreneurial opportunity” for financial gain when determining independent contractor or employee status. While “entrepreneurial opportunity” is not one of the ten factors listed above, the NLRB used the principle to assist in the evaluation of the factors. For example, where the factors reflect more entrepreneurial opportunity, they supported an independent contractor status. In 2014, the NLRB decision, FedEx Home Delivery, 361 NLRB 610 (2014), declined to use “entrepreneurial opportunity” as a principle in the overall analysis of the ten factors. Instead, the NLRB focused on actual entrepreneurial activity, reducing the “entrepreneurial opportunity” principle to “one aspect” of an additional eleventh factor in the 10-factor test—whether the worker was actually providing services as part of an independent decision. In practice, the narrowed test deemed hundreds of workers as “employees,” even if the employer exercised little to no control. However, most recently, in SuperShuttle, the Board overturned the 2014 FedEx decision, finding that “entrepreneurial opportunity” is an “animated principle by which to evaluate” all ten factors of the common law test. The principle, like employer control, should be used in the overall analysis, not as part of an eleventh factor. The Board has now returned to its pre-2014 standard—whether, in analyzing the ten factors equally, the scale tips more toward employer control and the employee-employer relationship or, on the other hand, toward entrepreneurial opportunity and independent contractor status. In applying the former test, the NLRB found that the workers in SuperShuttle were independent contractors as they set their own schedules, selected their own driving routes, and owned their own vehicles. There, the scale tipped toward entrepreneurial opportunity and independent contractor status. This decision is especially important as those who are considered “independent contractors” are not subject to laws covering employees, such as anti-discrimination laws, wage and hour laws, or labor laws. While this new NLRB decision does restore some sense of consistency to the issue under the NLRA, employers should keep in mind that this decision only applies to federal labor laws. It should be interesting to see if other agencies now likewise follow suit. If you have questions, please contact Robert Gilmore at rsg@kjk.com or 216.736.7240; or Kirsten Mooney at kbm@kjk.com or 216.736.7239.